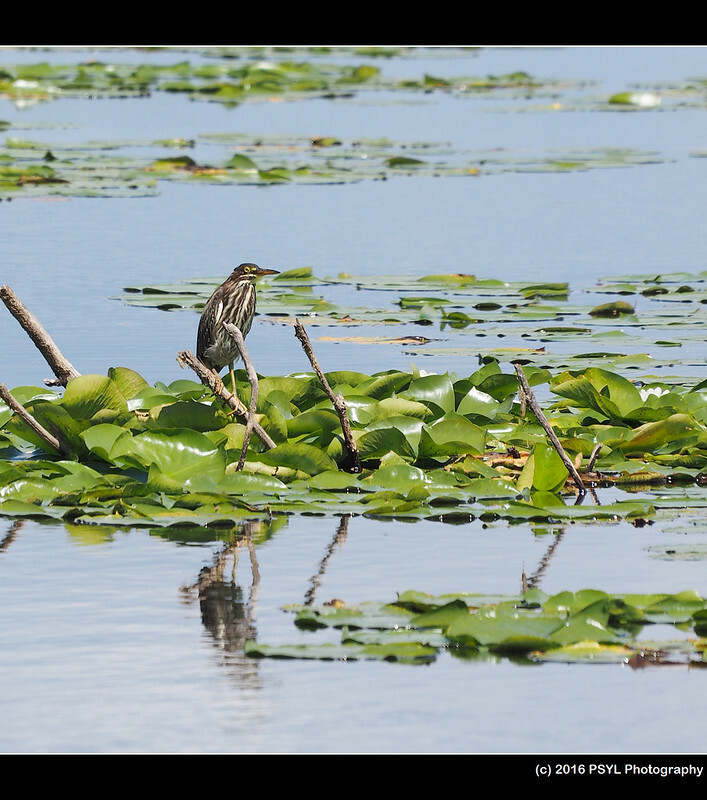 For the love of all wild things: Wildlife around Mud Lake - lifers! 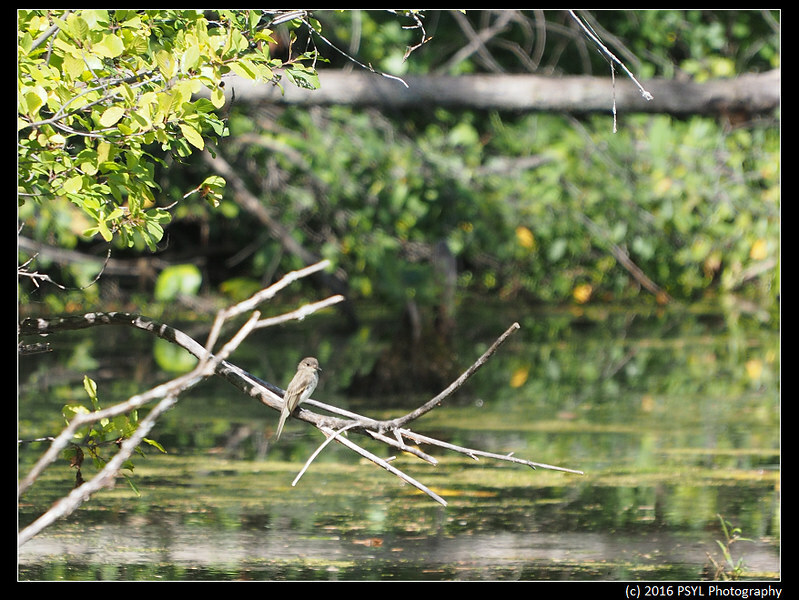 Wildlife around Mud Lake - lifers! This morning I brought my mother to Mud Lake, which she thought was the nicest place in Ottawa I showed her so far. 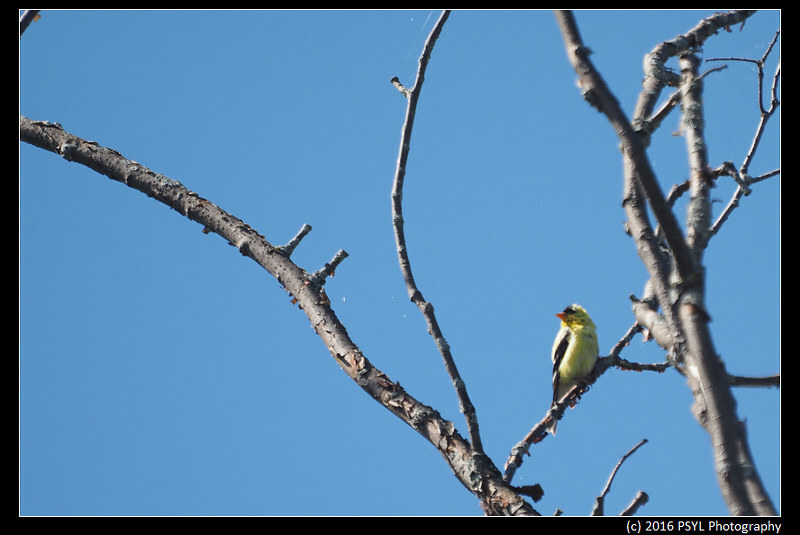 The first bird that welcomed us was this American Goldfinch (Spinus tristis). 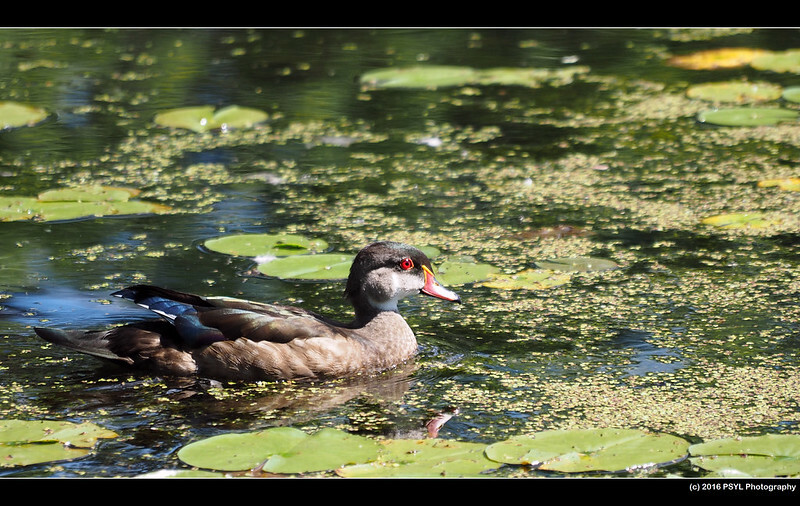 There was a large group of Mallards, American Black Ducks, and Wood Ducks (Aix sponsa) near the entrance of the trail. 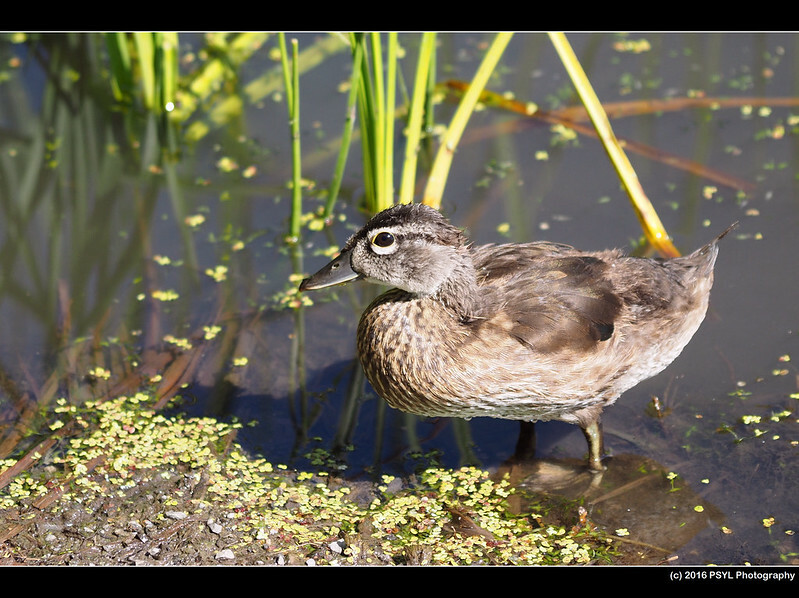 A cute Wood Duck juvenile. 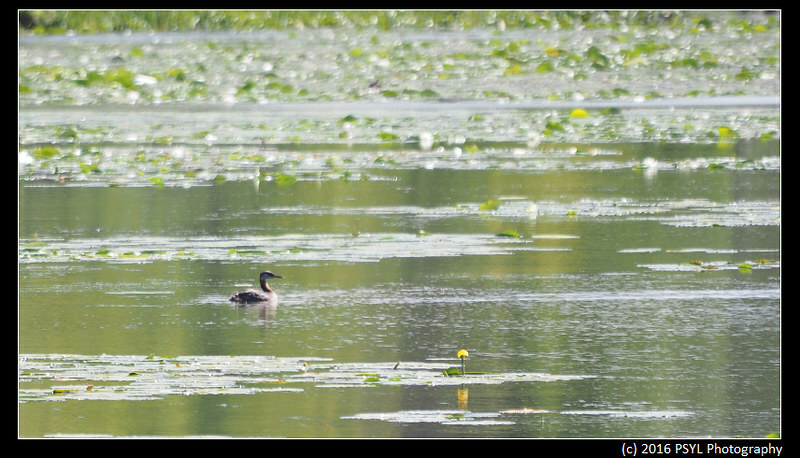 While we were looking at the ducks, a bird-watcher pointed out a Red-necked Grebe (Podiceps grisegena) in the middle of the lake, which is a lifer for me (I think)! 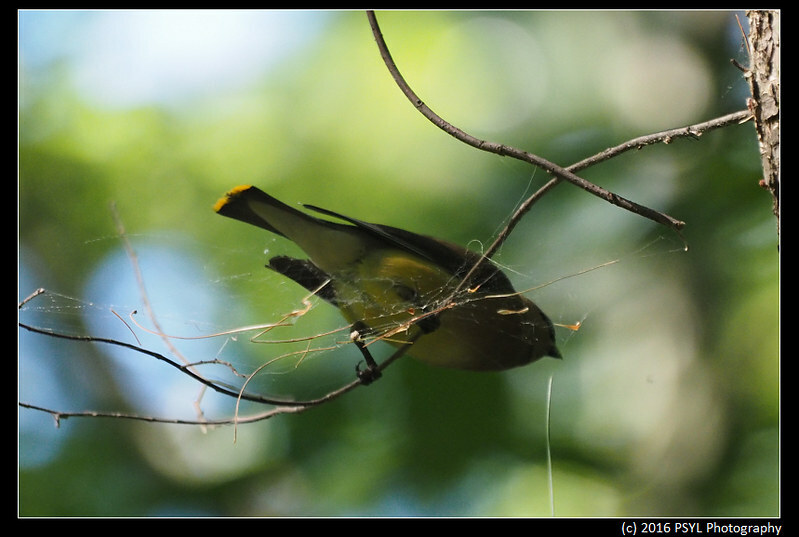 A Cedar Waxwing (Bombycilla cedrorum) trying to pick out a twig from a spider web. 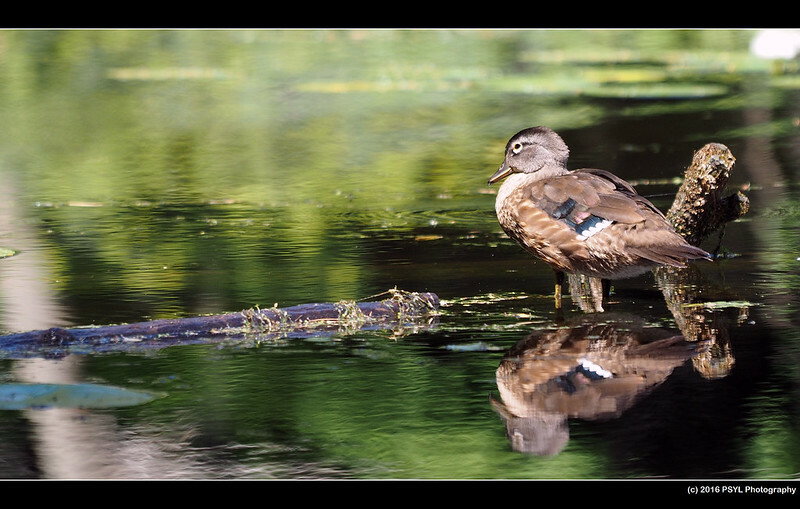 Reflection of a Wood Duck. 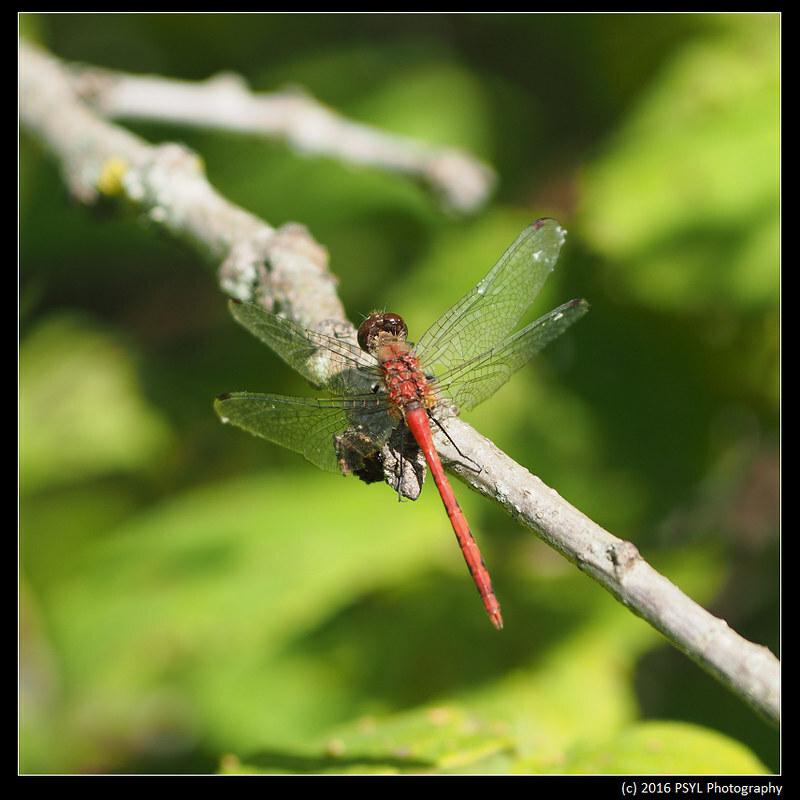 A male White-faced Meadowhawk (Sympetrum obtrusum). 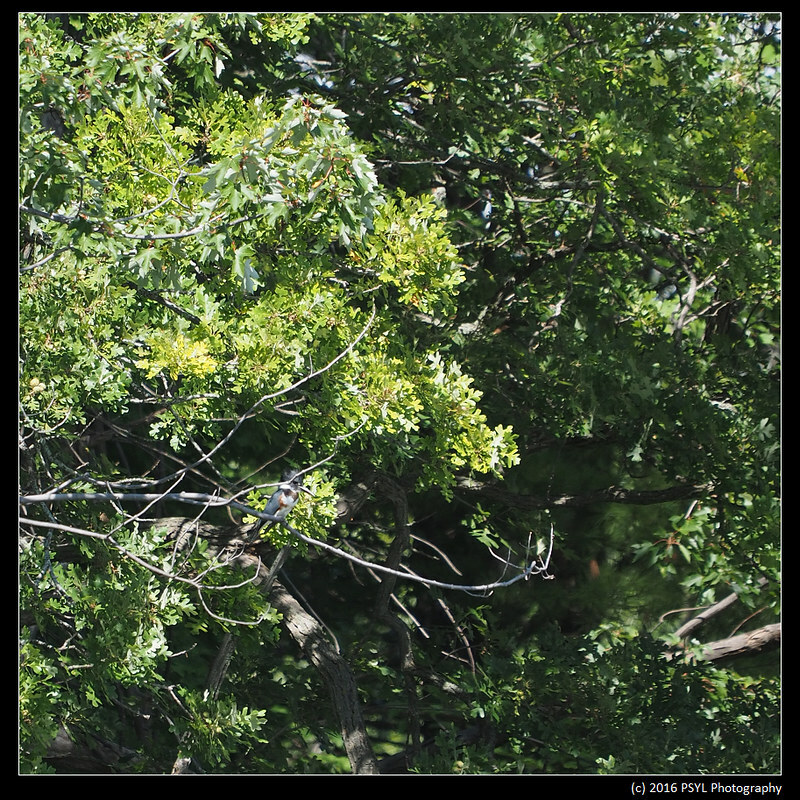 A well-camouflaged female Belted Kingfisher (Megaceryle alcyon). A bird that I hoped to see today was a Green Heron (Butorides virescens). 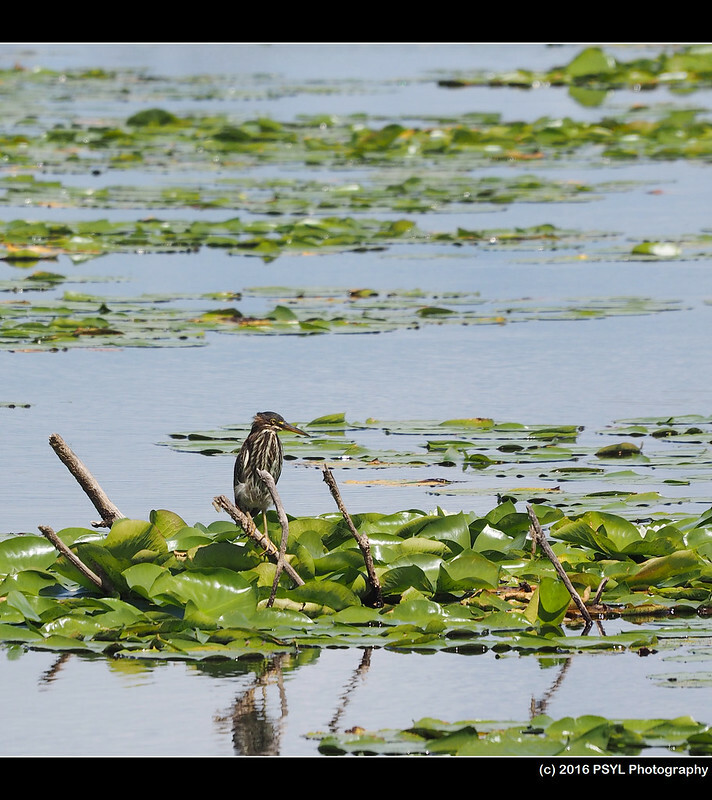 On our way back to the bus stop, my mother noticed a stocky bird standing among the lily pads in the middle of the lake. 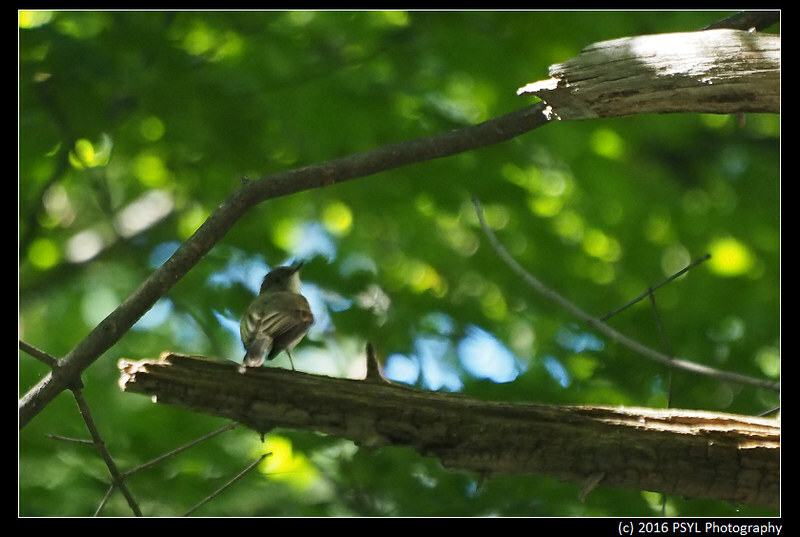 It was indeed a Green Heron! While we were walking through in the forest, we saw a woman standing in the middle of the trail taking pictures of something. 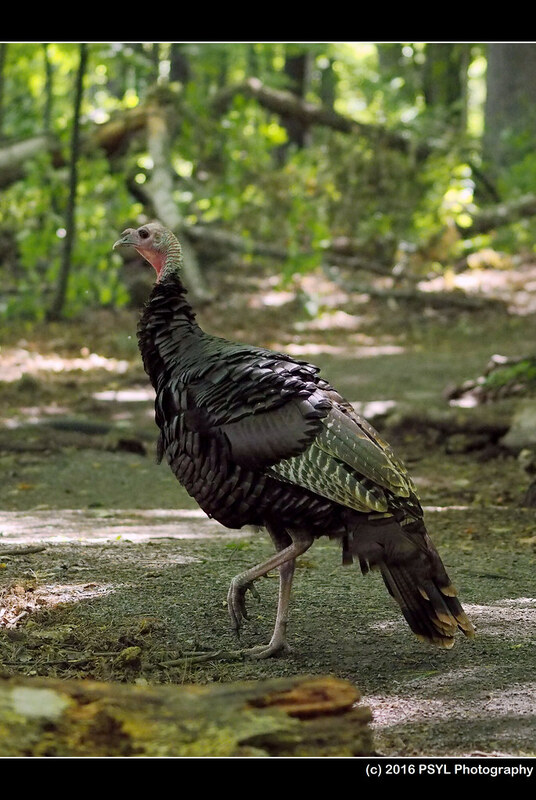 I thought she was taking pictures of the over-abundant number of grey squirrels, but then I spotted a Wild Turkey (Meleagris gallopavo) walking nonchalantly on the trail. 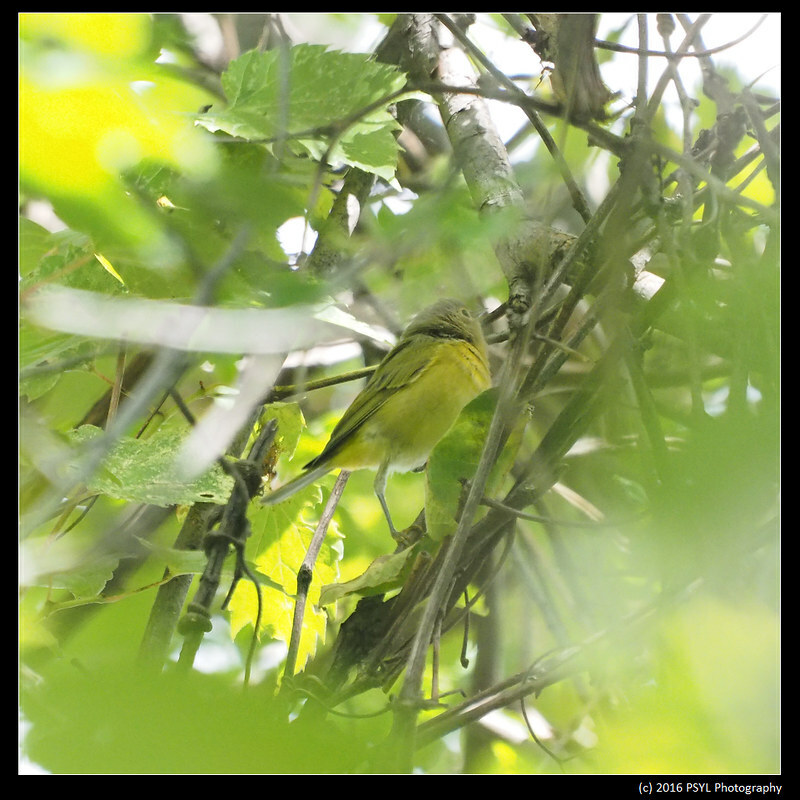 The last bird we saw at Mud Lake was this mystery warbler. The weather today was also the nicest since my mother came to Ottawa - sunny and cool, thanks to the rare rain we got yesterday.